View More In Movie & TV Fan - Page 4. 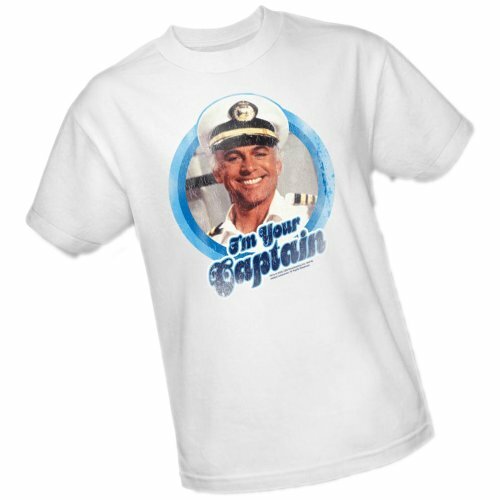 This adult T-shirt is an officially licensed product from the television show The Love Boat. The shirt features our cool I'm Your Captain design printed on 100% cotton. Also available in youth and juniors sizes.